Aug02 Comments Off on Join us to celebrate Eliza’s birthday! Join us to celebrate Eliza’s birthday! 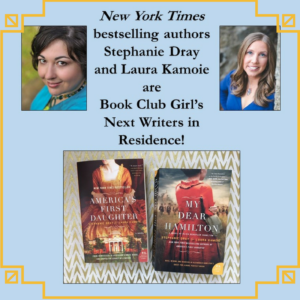 Just a quick note to say that you are cordially invited to join us in the Facebook group, Book Club Girls, where we’ll be the featured authors for a week’s worth of bookish fun around the anniversary of Eliza Hamilton’s birthday (August 9)! And if you’re in the Rehoboth Beach, DE, or Albany, NY, areas, join Laura for in-person events at Rehoboth’s Browseabout Books and Albany’s Book House of Stuyvesant Plaza! See our events page for details! Hope to see you along the way!